The regional round of ‘World Scholars Cup’, tournament, which witnessed participation of over 500 students from 16 schools across the country, was held in Gurgaon’s Suncity School this week. 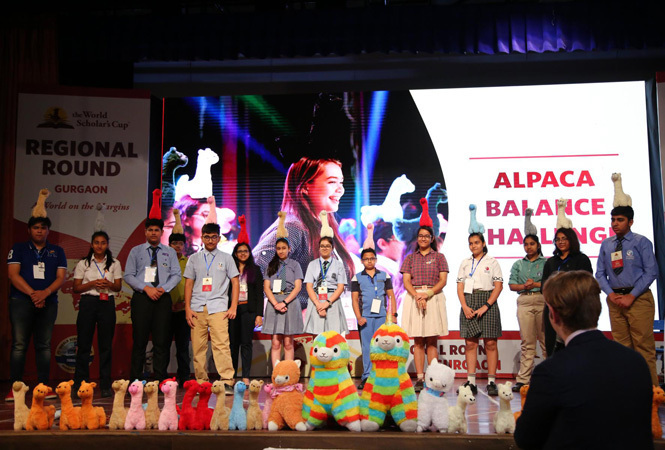 The World Scholar’s cup was thrown open by its founder- Daniel Berdichevsky, a visionary and a believer of ‘Each child is unique’. Every year scholars explore a new overarching theme, which combines debate, collaborative writing, multiple choice test and a multimedia quiz to motivate students to not just focus on existing skills and areas of strength, but also to discover new ones. Based on the theme ‘A world on the margins’, the competition assesses students’ proficiency over the topics from six different subjects – Science, History, Social Studies, Literature, Arts and a Special Area. The competition comprises of three rounds- Regional round, Global round, and Final round. 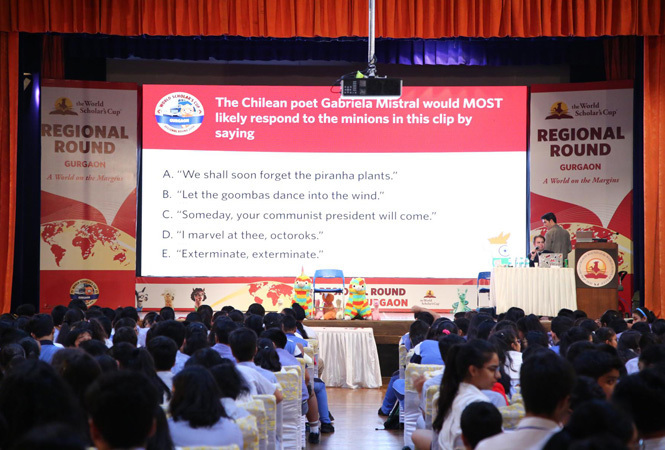 The event was spread over two days and include the following sub-events: Team Debate, Collaborative Writing, Scholar’s Challenge, Scholar’s Bowl. Students worked together in teams of three to research, debate and solve problems related to the theme. Approximately 200 teams from India will gain entry into the global round to be held in five cities namely Beijing, Hague, Durban, Sydney, Astana and Manila. Shortlisted participants can choose their preferred venue. The top finalists from global round will compete in the final round ‘Tournament of Champions’ to be held at Yale University, USA. Modern School, Barakhamba Road School bagged the first position in the junior category and Suncity School, Sec-54 Gurgaon secured the first place in senior category. 90% participants of the regional round have qualified for the global round.